In this two day workshop we will be playing with many beautiful hand dyed fibres and fabrics. 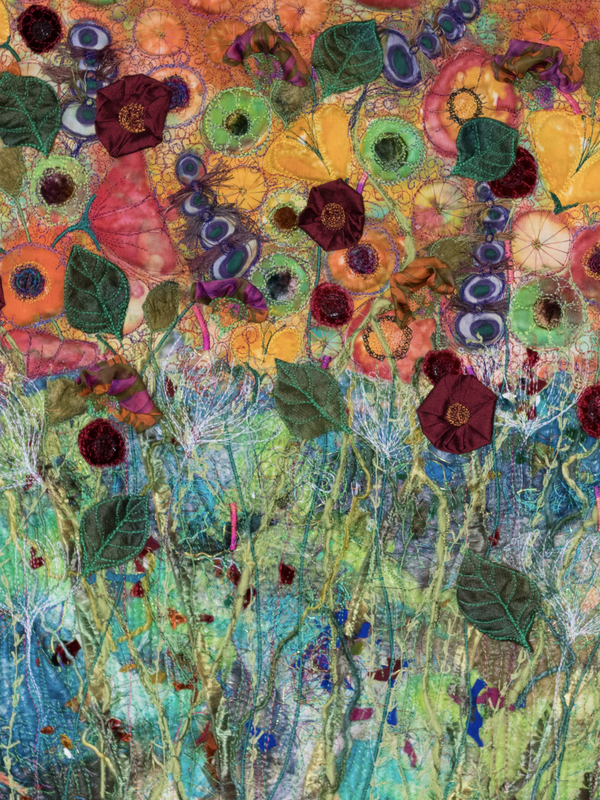 Looking at how they layer and texture, you will be using vibrant colours to explore the movement and ingredients that make a wall hanging of garden magic. Folding, tearing, colouring, free motion stitching , hand stitching, fusing, creating 3d leaves and flowers pulling together all these elements to complete a framable textile garden art work. You will find plenty of scope to introduce all your own bibs and bobs, this art work will be very organic capturing a garden in full bloom. I look forward to sharing my techniques with you. This workshop is booked out.